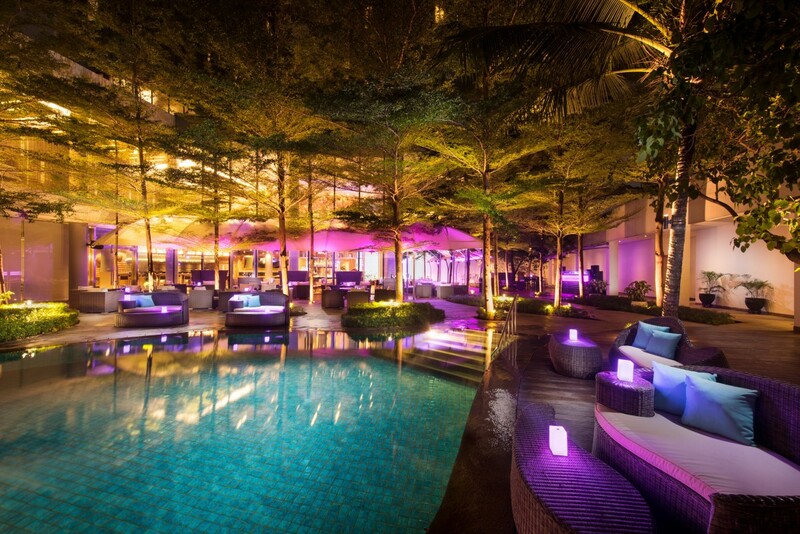 Consider unwinding with fruity cocktails and poolside tapas at Jakarta’s sunset destination, the recently reopened IINDIGO Day Club. Previously called IINDIGO Lounge, IINDIGO Day Club at DoubleTree by Hilton Jakarta – Diponegoro has reopened and is better than ever! Originally opened in May 2017, the space has been re-imagined, renovated and transformed into a unique home for the innovative sunset design. This design utilises the large area around the lagoon pool and divides it into numerous intimate spaces with full daybeds. Each daybed gives one a sense of privacy and is large enough for whatever occasion you desire; whether you want to snuggle up to your significant other or you want to have drinks with a group of friends, the sofas near the pool are the perfect venue. IINDIGO Day Club opens at 4PM, but the real magic is in the evening where the soft purple lighting creates a real aesthetic vibe – and they are coincidentally perfect for a good Instagram photo. If you’re looking for something to quench your thirst, IINDIGO Day Club has delicious drinks on their beverage menu which lists their signature cocktails and refreshing mocktails for a virgin option. While chatting with your friends around the tropical lagoon pool, munch on some delicious poolside tapas. 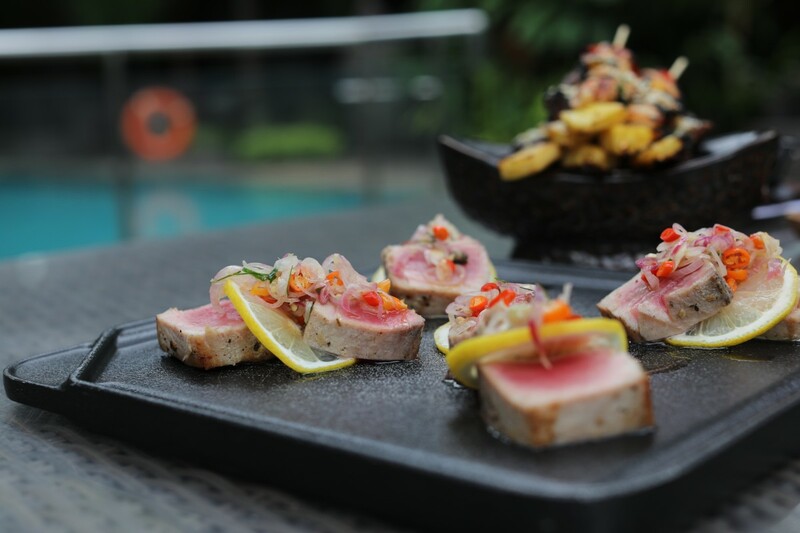 Highly recommended is their signature Tuna Sambal Matah consisting of grilled tuna with a fresh and spicy Balinese-style sambal. Every weekend the Resident DJ turns the up the crowd with beats from soulful chill outhouse to hip hop. Get special access to the club for IDR 100,000++ including pool access, a towel and a drink on Saturdays and Sundays or special event days. For even more exclusivity, you and your friends can rent a poolside private cabana for IDR 750,000++ for four people with the same benefits. Located five minutes from Jakarta’s Central Business District, IINDIGO Day Club is a great place to unwind after a long day at work or to have chill drinks during the weekend. 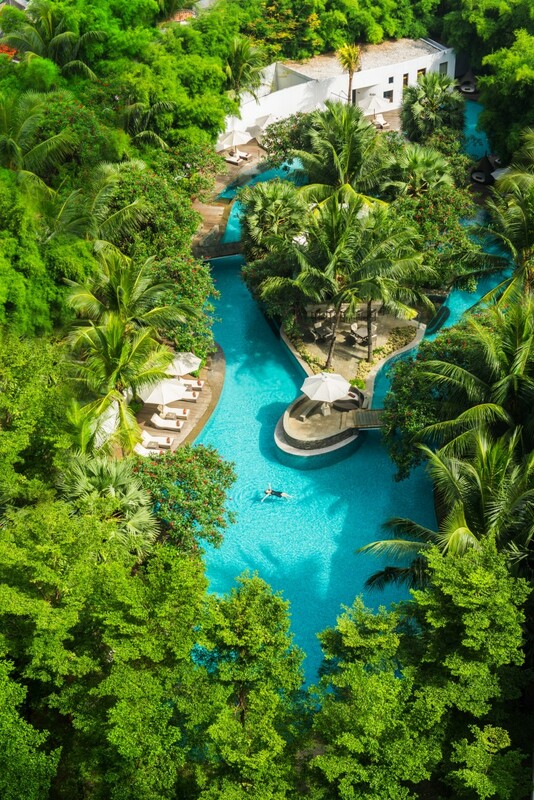 For more information or reservations, visit jakartadiponegoro.doubletree.com or call +62(0)2131904433.